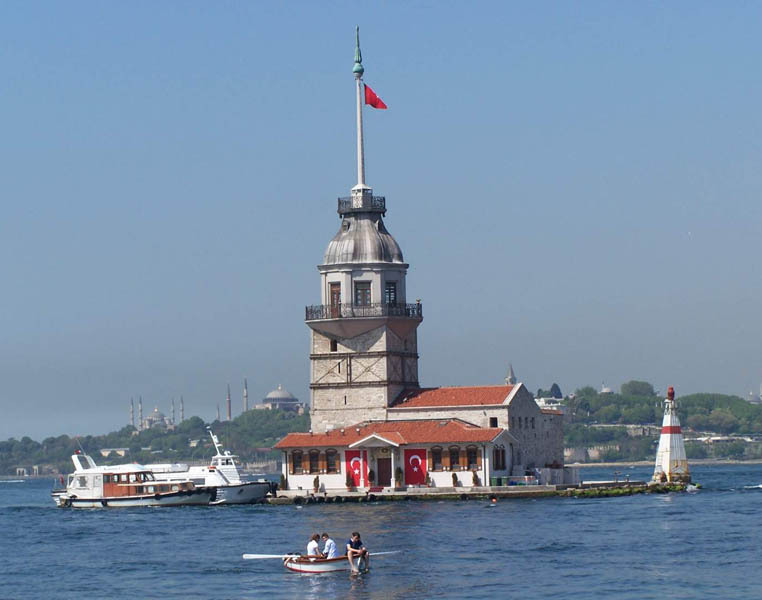 Go Istanbul Tour provides daily Bosphorus cruise tours in Istanbul, full day and half day guided excursions to discover Istanbul's European and Asian sides by the sea... All of our Bosphorus cruise tours include English guiding service, pick from/to your hotel and entrance fees to different sites. 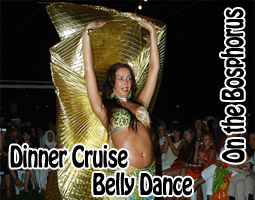 We also provide different programmes as Bosphorus dinner cruise and Bosphorus by night tours. This is a half day afternoon tour with a stop over on the Asian side in Kanlıca village. 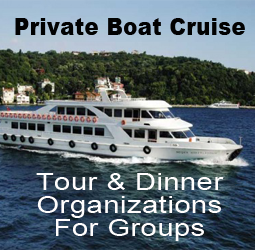 We pick up our guests from their hotels for our boat tour at around 12:00 o'clock. We arrive to our boat at around 13:00. After that all of our guests arrive our boat will sail from Eminonu pier. An open buffet lunch will be served on the boat. We serve 10 kind of Turkish mezzes, a salad bar and we will serve grilled chicken and turkish Adana kebab prepared on the BBQ on board. 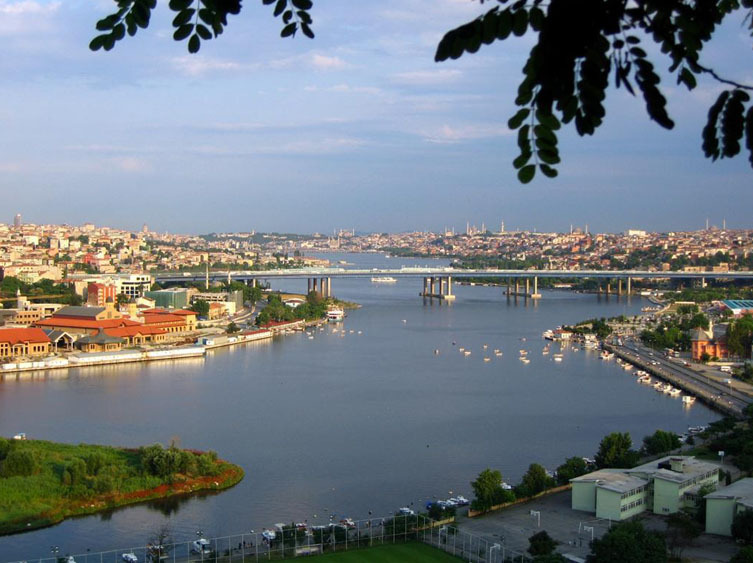 Cruise on the Golden Horn: Enjoy a boat cruise along the Golden Horn all the way to Eminonu, while your guide tells you about Jewish and Orthodox Heritage. The cruise continues on the Bosphorus; the Bosphorus strait connects the sea of Marmara to the Black Sea and separates Europe and Asia, making Istanbul one of the most beautiful cities in the world and the only one built astride two continents; this romantic cruise along the Bosphorus will allow you to admire the Dolmabahce Plalace, the Beylerbeyi Palace, the Ciragan Palace and the Rumeli Fortress, ancient wooden villas and bridges and all the wonderful and unige maritime landscapes. 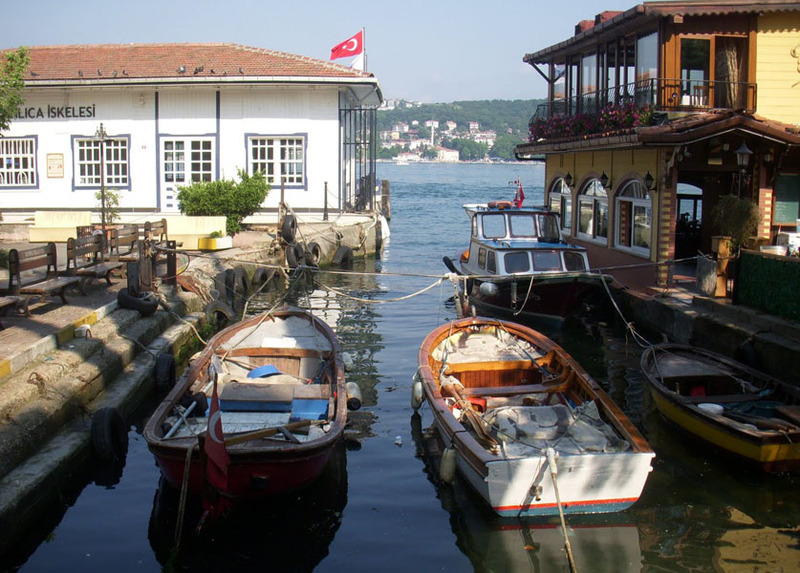 Anadolu Kavagi : (stop over in Asia and free time) A pretty village on the Anatolian side of the Bosphorus, situated on the north side of the bosphorus where it meets the Black sea. The Maiden's Tower: (No interior visit - we just turn around of the Island) This tower is one of the symbol of Istanbul due to its unique location at the intersection point of the two continents, Europe and Asia. We give a break on the tower for a while and keep cruising along Bosphorus afterwards. The price of this tour is 35€ per person. 30% discount for chilfren below 7 years old. Free for the ages 0-3. 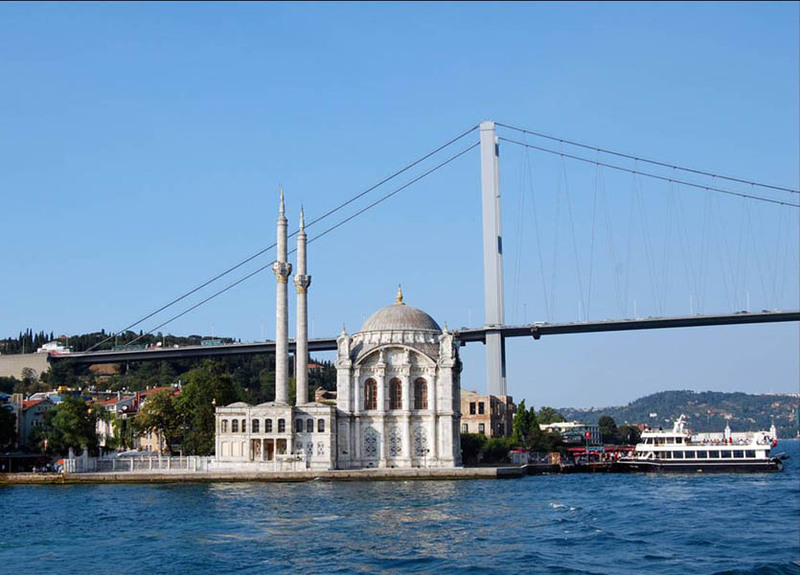 - Bosphorus cruise tour programme as in the itinerary. - Open buffet lunch on the boat. - 2 way tranfers from/to your hotel. - All the personal expenses during the tour. - Drinks during the lunch.